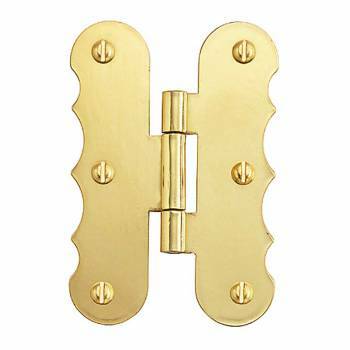 Scalloped Flush H style Hinge 3 in. 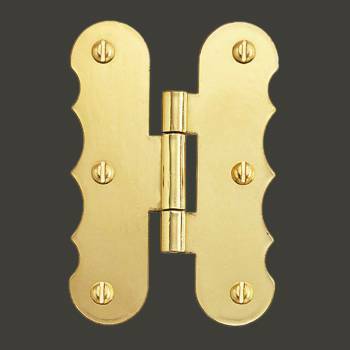 H.
(4) pieces Scalloped Cabinet Hinge. Scalloped H Flush Hinge. 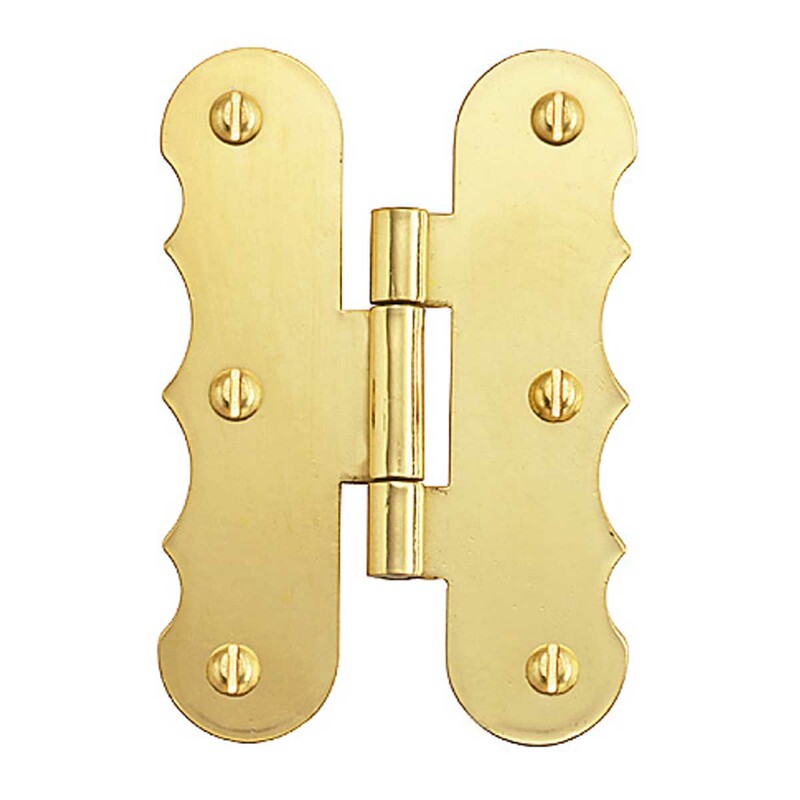 This decorative RSF brass flush H hinge is 3 inch high. RSF finish protectd from tarnishing for years to come. Set of 4.